Best Rifle Scope Under 1000 Dollars For 2019 – Top 5 Models Compared! Any hunter’s gaming results are normally determined by the quality of the riflescope they are using. Well, for any serious hunter purchasing a rifle scope begins with setting a budget for the scope. If you are in search of a rifle scope under 1000, it is without doubt that you will come across plenty of rifle scopes. This may in turn leave you bewildered for choice forcing you to make an uninformed decision at the end of the day. To save you from this, we bring you a detailed review of the Best Rifle Scope under 1000. Note that these rifle scopes are not arranged according to the order of performance; they all are quality rifle scopes with an excellent performance in target precision. N.B: Price in between $1000! The Vortex Optics Viper PST First Focal Plane Riflescope is one of the best rifle scopes under 1000 you will come across. Firstly, the scope offers optimal accuracy and is both waterproof and fogproof thus conducive for wet weather. Let’s look more of the features that are part of this incredible optical tool. For highly efficient results in long range shooting, this rifle scope comes with a 6-24 magnification power. Particularly, this magnification enables you to make perfect shots of at least1000 meters while on the maximum magnification power. A good objective lens provides all the lighting required to acquire perfect shots on the target. This Vortex optic is featured with a 50mm large objective lens that delivers maximum lighting even in the low-light shooting environments. Additionally, the lenses are made with an Armortek coat that prevents wear and tear in turn giving you years of incredible service. This incredible feature ensures that the scope goes back to zero every other time the user makes some momentary modifications for elevation. This way the shooter never gets to lose zero even when they are implementing large field modifications. Having to make reticle settings adjustments while losing sight of the target can lead to disappointing shooting sessions. For that reason, this scope is designed with an illuminated reticle that allows you to make adjustments while also keeping an eye on your sight picture. This is made possible by the several intensity settings coupled up with reticle turret that’s on the left side of the rear lens. Any serious hunter wouldn’t want to be restricted on their hunting trips because of varying weather conditions. With this, this Vortex rifle scope is made with water and fog proof material that ensures you are able to go on with your hunting activities even during the drizzly weather conditions. It provides top accuracy with the 50mm objective lens. You won’t miss out on your hunting trips during a rainy weather thanks to the waterproof feature. The illuminate reticle allows you to adjust the reticle intensity levels without losing the sight picture. This optic tool is a bit heavy. The parallax adjustment that is provided is not as accurate. Looking for a rugged rifle scope that gives you successful shooting sessions in all kind of weather situations? 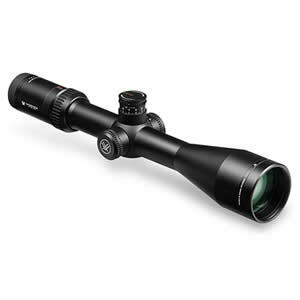 The SWFA SS 3-15x42 Tactical Rifle Scope will be a great choice for you. This incredible rifle scope comes with a multi-coat design on the lens that ensures that the hunter enjoys full clarity even while hunting in areas that are prone to target distortion. This way you are assured of hitting your target effortlessly thus being able to make the best out of your hunting sessions. In instances of an unexpected drizzly weather while out there hunting you won’t have to worry about getting this SWFA SS 3-15x42 Tactical Rifle Scope damaged. This is because it is designed with the waterproof and fogproof feature that makes it conducive for wet environments. In need of a rifle scope that will be a perfect blend with your tactical gun? This SWFA SS 3-15x42 Tactical Rifle comes with a matte finish, which normally is a perfect match with the various tactical weapons available in the market. Placed at the front of the scope, the reticle keeps enlarging every time you zoom in the focus of the scope. This in turn enhances precise targeting. The quicker you are able to make your rifle scope adjustments, the sooner you are also able to hit your target on time. With this SWFA SS Rifle Scope you get large knobs that allow you to adjust your rifle settings pretty quick to suit the need at hand. 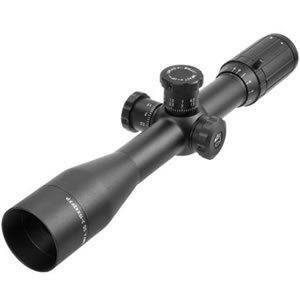 If you are a serious hunter, you definitely need a rifle scope that will provide you with optimal durability. This particular rifle scope is constructed with blocky turrets that are made of 30mm aircraft grade aluminum tube that makes it highly durable. Can be used under wet weather because of the water proof and fog proof capability. Large adjustment knob for easy alterations. The multi-coat design provides longevity. The Mil-quad reticle helps in precise targeting. The coating provided to enhance contrast makes some targets look darker at times. Every other time the power setting is lessened the reticle shrinks. 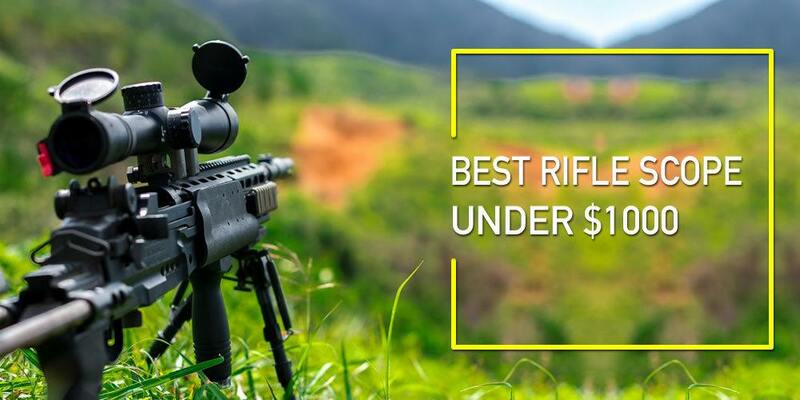 Read Also: Best 22 Rifle Scope – Quality Yet Affordable Scope Reviewed! The kind of rifle scope you choose is dependent on the kind of hunting activities you are regularly involved in. The Trijicon TR24 AccuPoint 1-4x24 Dual-Illuminated Riflescope could be an ideal choice for big game hunters. This is attributable to its advanced fiber optics and superior construction that offers the user ultimate productivity when out there. Below are more of its impressive features. Your ability to view your target clearly will make your hunting sessions less straining and fruitful. The multi-coated lens provides you with an enhanced light transmission to give a clear view of the target even the ones that are remarkably small. If your regular hunting sessions are mostly in low light areas, it goes without saying that this Trijicon TR24 AccuPoint 1-4x24 Dual-Illuminated Riflescope will be an ideal choice. This is because the scope is designed with high end fiber optics that automatically adjusts the illumination levels depending on the intensity of lighting available. Note that manual adjustment is also provided to enable the hunter make the perfect alterations for clear target view in poorly lit environments. Can you imagine an instance where your rifle suddenly stops working just before you hit your target? It is such a disappointment, right? Well, this could happen with a rifle scope that’s powered by battery energy. With this incredible rifle scope you won’t encounter such instances since its operation doesn’t require battery use. The construction material used on a rifle scope determines how long it will last. Made with hard anodized air craft quality aluminum, this Trijicon TR24 Riflescope assures the user of durability even while being used in tough hunting environments. If you are a regular hunter you must know that the large rifles tend to have recoiling issues with some scopes. With that in mind,Trijicon TR24 is designed with a long eye relief that does a great job in preventing high impact recoil with the larger caliber rifles. If you are a hunter living in an area that’s normally wet most of the time,this rifle scope is all you need. Featured with a 10-feet water resistance, the rifle won’t wear out anytime you get caught up with wet weather while on your hunting trips. It allows you to work under wet weather thanks to its waterproof capability. Durable with the hard anodized aluminum construction. Multi-layer coated lenses provide maximum target clarity. Automatic brightness adjustments thanks to the enhanced fiber optics. Due to its rugged construction, it tends to be a little bit heavy. The reticle of this rifle is limited in use. Talk of ultimate precision and shooter motivation, and the Nightforce Optics 4-14x56 SHV Riflescope comes in handy. First of all, the rifle scope comes with a 56mm objective lens that provides optimal clarity of targets. Secondly, Nightforce itself is a trusted brand so there are no chances of compromised quality with the scope. Well, let’s look at other features that make it a worthwhile optical tool for serious hunters. You don’t want to invest in a rifle scope that is prone to wearing out any moment you find yourself in unfriendly hunting conditions. This Nightforce rifle does not only offer accuracy but also is quite durable. This is thanks to the aluminum alloy material that’s used for construction. Moreover, this feature also makes it resistant to varying temperature range. This Nightforce Optics 4-14x56 has a 56mm objective lens that offers nothing but maximum target precision in long range shooting. It does this by providing a large clear picture of the target and the hunter can effortlessly take clear shots. If you have the large caliber rifle you need to be sure to purchase a rifle scope that’s well compatible with it especially when it comes to recoil. The rifle scope here is designed with a solid material that is able to withstand recoil even with the largest caliber rifles. The 25MOA adjustments are put in place to offer the rifleman a reliable adjustability. This way you can be able to make the necessary adjustments to close in your target pretty quick without giving them a chance to escape. If you are quite an adventurous gun man, this rifle will do you good. This is because it is designed with a rugged weather resistant body that allows you to enjoy your rifling activities amidst the worst kind of weather. Fit for all kind of weather throughout the year. Is capable of handling the recoil impact of large caliber rifles thanks to the sturdy construction. Aluminum alloy construction makes the optic resistant to wear and tear. The large lens provides proper visibility of the hunter’s target. Being weather resistant there is no place you can’t go for your rifling trips. The rifle scope is a bit big compared to others under the same category, which makes it a little bit heavy. Does not offer good precision in low light environments. Last and not least on the best rifle scope under 1000 we have the Vortex Optics Viper HS LR Second Focal Plane Riflescopes - Dead-Hold BDC Reticle (MOA). It allows any enthusiastic hunter to answer any hunting call they get. This is because the rifle scope is sturdily constructed to withstand tasking rifling tasks as well as maintaining durability even under regular use. Why don’t we take a look at what this vortex rifle has to offer? 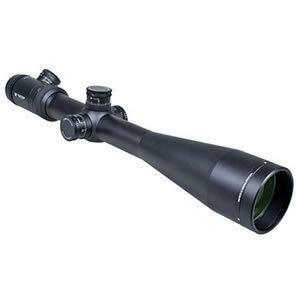 This long range rifle comes with a 4X range capability that provides sufficient magnification of the intended target. With this, spotting a target is as good as having a hit on it. The moment the lens of your rifle scope is damaged it becomes as good as useless. To avoid such instances, this Vortex optic comes with a protective lens cap that ensures the lens stays safe from scratch or any other harmful components that may affect its functionality. Another exciting feature of this incredible scope rifle is the bullet drop compensation reticle. With the hash marks that pass over the cross hairs at specified durations the rifleman is able to make adjustments for bullet drops at recognized distances. Note that for you to be able to use the BDC reticle accurately you will first need to adjust the magnification settings properly. The rugged nature of this optical tool makes it water and fog resistant thus allowing you to go about your shooting activities even during a rainy weather. More to the rugged construction is the shock proof capability that makes the scope withstand jolting that comes with tough hunting adventures. This Vortex rifle scope is designed with multicoated lens to provide optimal brightness for maximum efficiency in closing on your target. This rifle scope comes with extra accessories for an enhanced user experience which include: protective lens caps, lens cloth and a 4 inch sun shade. The Armortek coating featured along keeps the exterior lenses of the scope well protected. Water proof and fog proof capabilities make it an all-weather rifle scope. Multicoated lens provides sufficient brightness for successful shots. BDC reticles help in accurate hold over estimations in varying shooting ranges. The hard anodized matte black finish is good looking and also outstandingly durable. A number of customers term the scope’s glass low quality. Magnification Power: This is a very key factor while choosing a rifle scope. First and foremost, you should note that there has been a great misconception that high magnification equals to an enhanced performance among new rifle users. This is however not true; the type of magnification scope to choose should be determined by your kind of shooting activities and your hunting region. Low magnification works in taking short range shots while high magnification levels are perfect for long range shooting. You should however note that magnifications going beyond 10×need a supported position. Main Tube Diameter: The main tube diameter of various rifle scopes varies depending on the manufacturer. Nevertheless, we recommend the wide diameter tubes for individuals that are involved in long range shooting. This is because wider tubes provide more room for adjustment which is key for long distance shooting. However, there is also a downside with having a larger diameter scope; it requires larger mounting rings that may weigh much on the pocket. On the other hand, if you engage in short range shooting, you don’t have to invest much on getting a wider main tube diameter. Most tube diameters out there in the market range between 25mm, 30mm and 55mm. Eye Relief: If you are a shooting enthusiast you must have come across riflemen with stories of aggravating experiences with eye relief. Well, we always recommend a longer eye relief especially for the beginners because it doesn’t expose the user to some serious eye injuries like the black eye. Most rifle scopes in the market feature a 4-inch eye relief while lower end models come with 3 inches or so which may be a bit unsafe for the shooter. Focal Plane : Usually, the focal plane has the role of enhancing the accuracy of the rifle scope. Focal planes are in two categories; the front focal plane and the second focal plane. With the front focal plane the reticle makes adjustments with magnification increase or decrease. On the other hand, with the second focal plane design the reticle does not move. We normally consider the front focal plane better because it doesn’t interfere with the reticle harsh marks and dots, which in turn results to the enhancement of the scope’s accuracy. However, the second focal plane is the one that’s mostly used by most optic manufacturers. Adjustments And Turrets : Another important factor you will need to look at while purchasing a rifle scope is the turrets. Turrets vary from one scope to the other depending on their functionality. Primarily turrets perform the job of making adjustments usually known as windage and elevation. We like to vouch for the ballistic, which are altered according to the shooting distance in yards. Also, capped turrets are more preferable in preventing the shooter from making unintended adjustments. Water Proof: A water proof rifle scope is very important to have because it enables you to go about hunting under rainy weather conditions comfortably. The main feature used to facilitate this is called gas purging and it could come in two common types which include: argon and nitrogen gases. Basically, these two elements prevent fogging in the lens interiors so they should be an important factor to consider while making a purchase. Question: Are all rifle scope rings the same? Answer: No, they are not. They differ depending on the tube diameter of the scope. Particularly, larger tube diameters need rings that are rare in the market thus being a bit costly so you need to be aware of that while purchasing a larger tube diameter rifle scope. On the other hand, you won’t have trouble finding rings for the tube diameters that are smaller. If you normally are not engaged in long distance shooting there is no point of having to spend more on the mounting rings after spending a handsome amount of cash on the rifle scope itself. Question: How can I measure a rifle scope capacity? Answer: A rifle scope’s main job is to magnify the hunter’s target thus being the factor that you can use to determine its power. Basically, its capacity can be calculated by the size of the diameter and the magnification power. In other words, how many more times can you be able to view your target than you do with your naked eye? Nevertheless, you should have in mind that the power capacity you choose should be determined by the shooter’s purposes. Question: I would like to purchase a rifle scope but am not so sure which one to go for; low power scope or high power scope? Answer: This will entirely depend on the purpose of the rifle. If you do short range shooting maybe to get rid of stubborn rodents from your yard, a low power scope will do. On the other hand, if you are involved in long distance shooting a high power scope will work for you. Question: I wanted to place an order for a rifle scope but it just clicked my mind that I don’t know what magnification power I will be needing for my rifle that I mostly use for short range shots. Answer: In this case you won’t need one with a magnification that’s too high because it will not be useful at the end of the day. You can use one that has an average magnification that’s fit for taking shots at a close range if that’s basically the kind of gaming you are involved in. Question: What’s the importance of having a rifle scope with objective lens? Answer: The moment you use a rifle scope you will understand that there is usually something called parallax, which occurs when your eye is not aligned to the reticle and this in turn makes the target to appear as if it is in motion. Though it doesn’t interfere much with accuracy, some of the detailed shooters normally get an objective lens that provides manual adjustment for getting rid of the parallax errors. 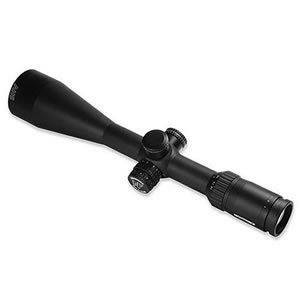 With this review on the best rifle scope under 1000, you now will make an informed decision next time you are looking for a rifle scope in this category. All of them are richly featured to give you impressive results on all your shooting needs. What you will need to do is identify the one that will suit your rifling passions accordingly. Moreover, with a 1000-dollar budget for a rifle scope, you definitely are going to find a good quality scope to revolutionize your hunting sessions for good. Lastly, do not forget to be a responsible rifleman by exercising caution every moment you are out on a hunting session.